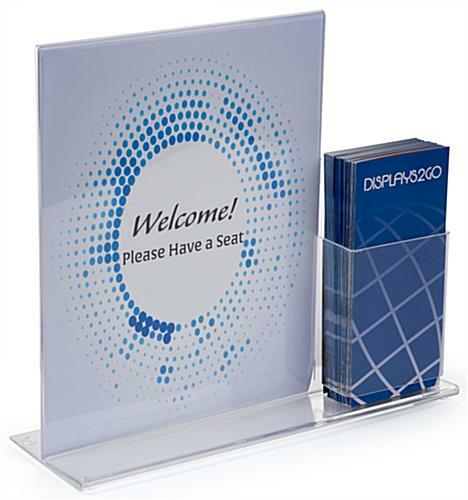 Holds 11" x 14" Signage for Easily Noticed Graphics. 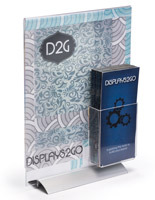 Clear Acrylic Provides Unobstructed Views of Images. 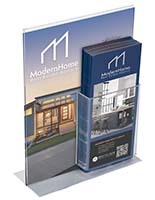 Sign Frame & Brochure Pocket Placed Next to Not on Top of Each Other. 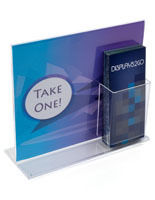 This flyer holder for tables comes with a brochure pocket that is attached next to and not in front of advertising signage fixtures. 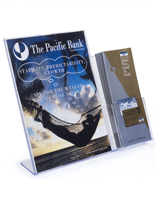 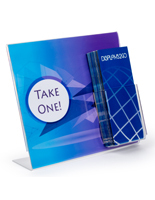 The 11” x 14” plastic literature display is now completely visible to customers whether or not trifold papers are placed in their slot. 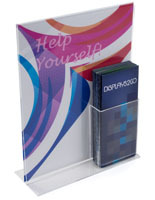 The flyer holder is able to show images vertically and features a bottom load design for quick changes. 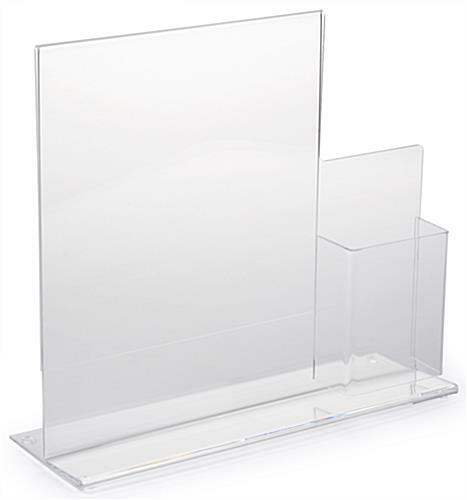 The entire literature display with pocket measures approximately 15” wide x 3-1/2” deep to take up very little counter room when placed. 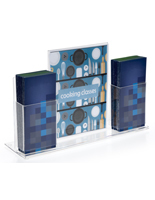 The holder is perfect for businesses and institutions that want to present images, but also tangible information that customers can take with them. 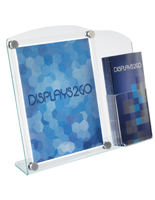 The fixtures are made of plastic and so are durable and can be reused in future advertising campaigns.